At the AZ Awards gala, taking place June 20, the designers will create an inspiring installation. Here, we look at five other spaces that they have lit up with their creativity. 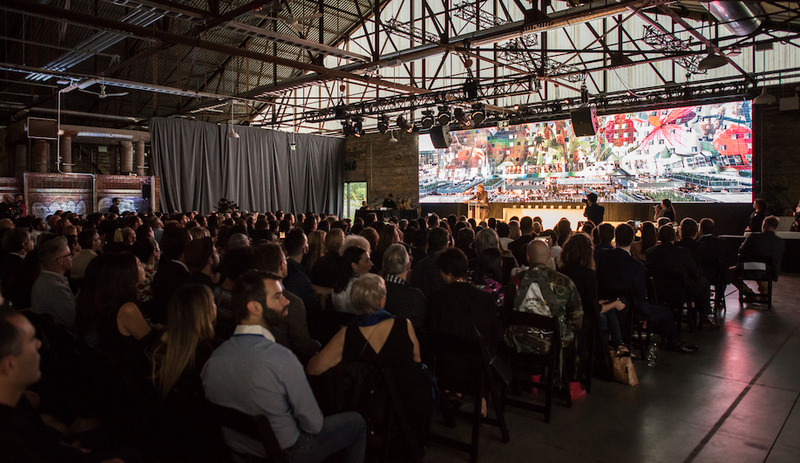 On June 20, Azure will celebrate the fourth annual AZ Awards at Toronto’s Evergreen Brick Works, honouring an international contingent of architects and designers. Though the night is the moment for the winners to shine, we’ll also be putting the spotlight on some talented locals, with an installation from Mason Studio. We can only hint at what they will conjure for the evening, but it will involve suspended, star-like forms that transform the industrial shell of the building into a whimsical playground. Later that same year the community-focused studio made an impression on its own neighbourhood, during the Junction Design Crawl. To craft this ephemeral backdrop for a live performance on an old train platform, Mason formed glowing orbs out of over 20,000 paper cups. 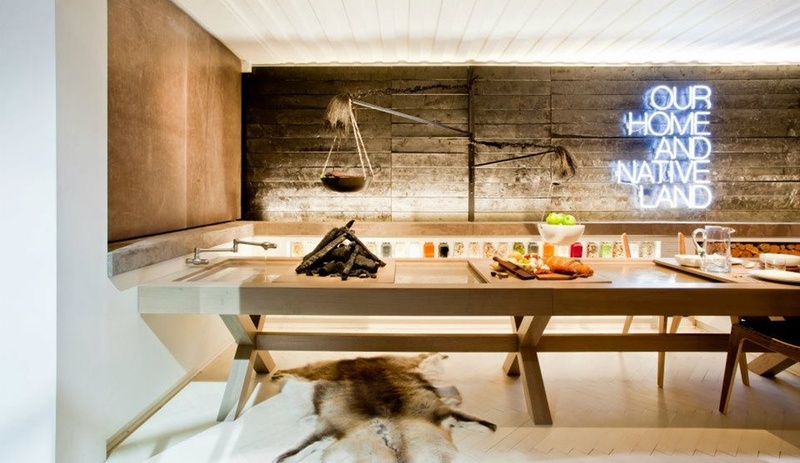 A feature exhibit of the 2013 edition of IIDEX, Glamping once again exhibited a strong Canadian identity. 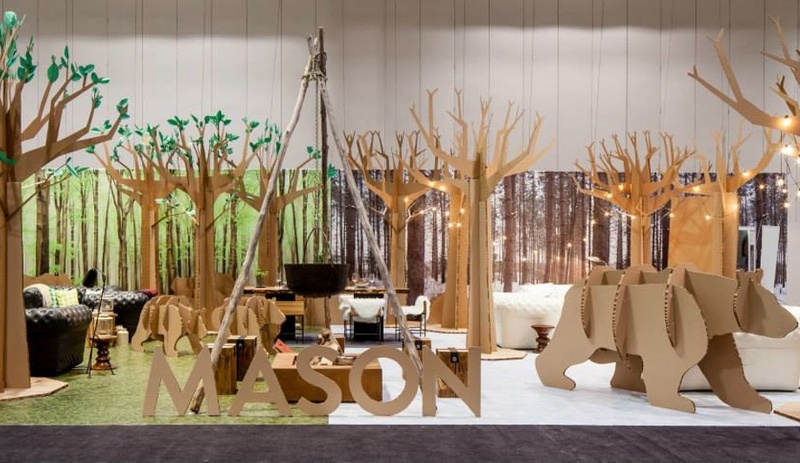 Combining elements of the great outdoors and the comforts of home, the space was divided into winter and summer forest scapes that included comfy furniture, a fire pit and life-sized trees and bears, in cardboard. 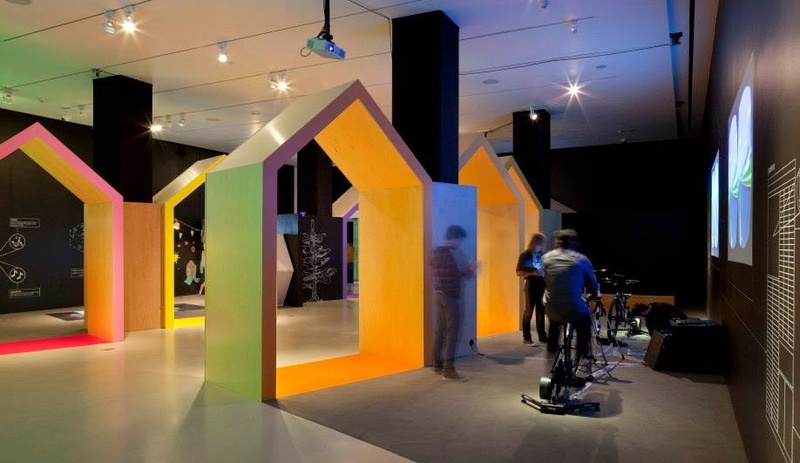 Habitat was a temporary interactive installation that went up in April for TIFF’s 2014 digiPlaySpace, and represents Mason’s second year creating the adventure. Collaborating with graphic designers aftermodern.lab, they inserted a playhouse scheme that engages kids with creative media and new technologies. 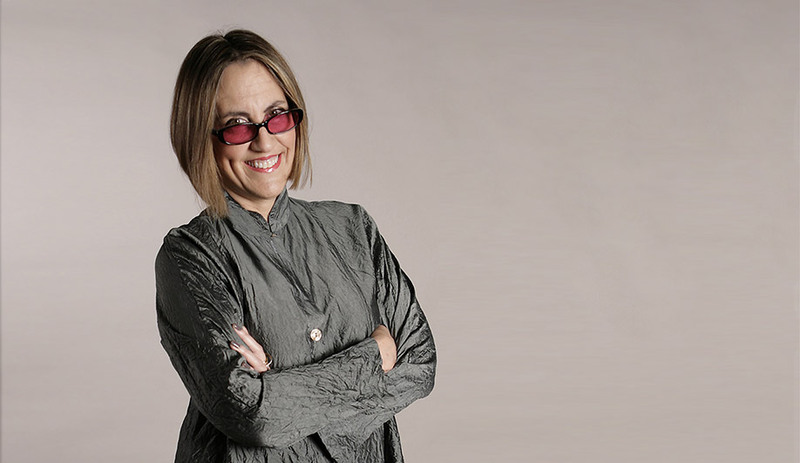 In addition to a plethora of public work, Mason also keeps busy with commercial, hospitality and residential projects, spanning the globe from Ontario to Russia. 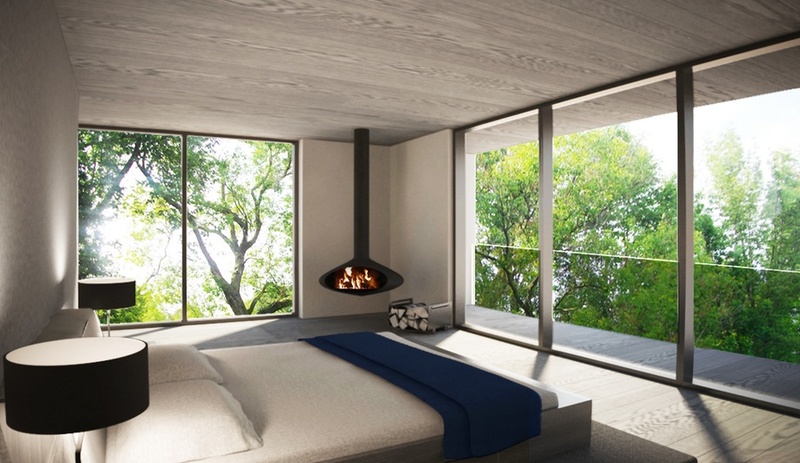 The two partners feel that their installations and exhibits offer an ideal opportunity to inform their other work, like this house which over looks a Winnipeg ravine, by providing an opportunity to study how people react to the environments they create. 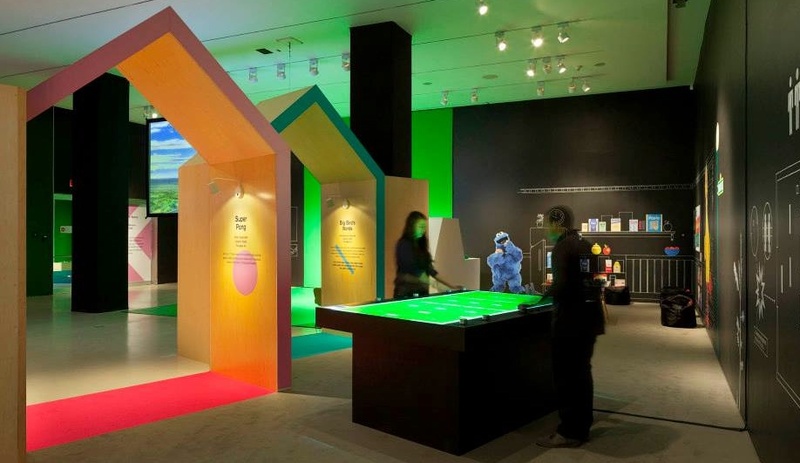 “The temporary work is great, because, as a young firm, we’re still in an exploratory phase,” says Sun, explaining how it has helped them develop a personal philosophy that focuses on engagement and interaction of people with space. 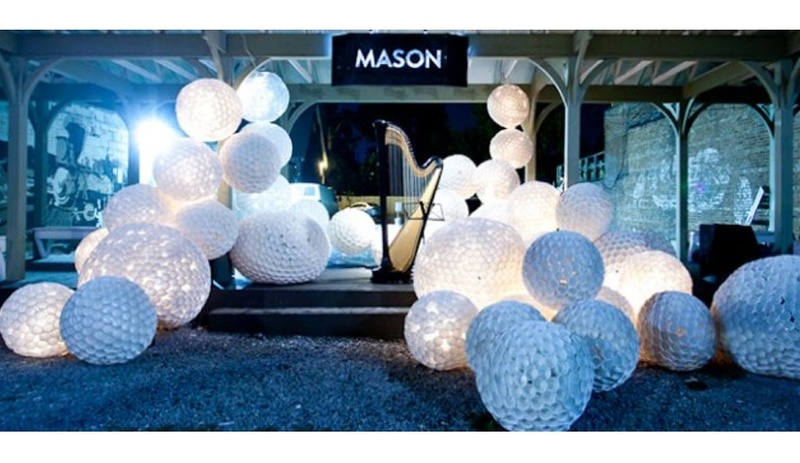 Mason Studio’s AZ Awards installation is a one-night-only event! Join us to take it in, June 20 at the Evergreen Brick Works in Toronto. Tickets and details, are available here.